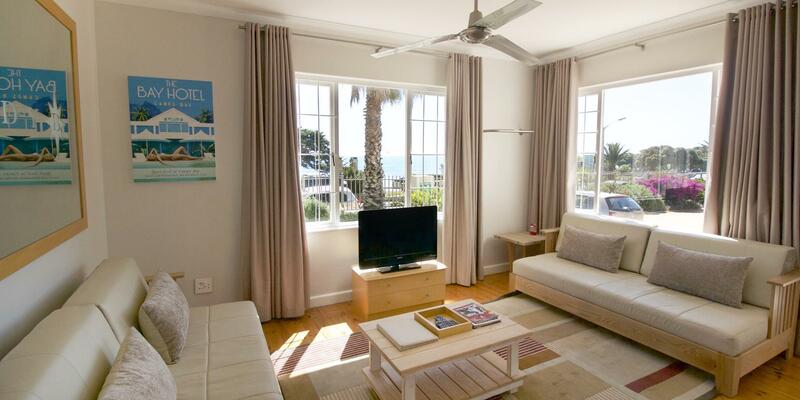 Ada soalan mengenai Camps Bay Village Apartments? Sama ada anda melancong atau ke luar kawasan kerana kerja, Camps Bay Resort merupakan pilihan penginapan hebat ketika melawat Cape Town. Keseronokan pusat bandar hanya sejauh 7. Km sahaja. Juga terletak berdekatan adalah Gym on the Bay, Theatre on the Bay, Camps Bay Beach. Menawarkan tetamu perkhidmatan yang unggul dan pelbagai kemudahan, Camps Bay Resort komited untuk memastikan penginapan anda berada di tahap seberapa selesa yang mungkin. Tetamu boleh menikmati kemudahan seperti Wi-Fi di tempat awam, tempat letak kereta, pengangkutan lapangan terbang, penjagaan kanak-kanak, bilik keluarga. 44 bilik di sepanjang 3 tingkat menyediakan suasana nyaman dan menyenangkan. televisyen skrin rata, kopi segera percuma, teh percuma, linen, cermin boleh didapati di beberapa bilik. Hotel ini menawarkan banyak peluang rekreasi yang unik seperti kolam renang terbuka, rumah urut, taman. Temui gabungan yang menarik antara perkhidmatan profesional dan pelbagai kemudahan yang ada di Camps Bay Resort. I was nervous about booking a cheaper place with mixed reviews, but we lucked out and got Apt. 11, I believe, it is a remodeled apartment fronting Camps Bay. It was great! We walked across the street to Codfather, to the grocery store, and Camps Bay everyday. Felt like lifestyles of the rich and famous, as it was centrally located. Yes the building is older, but like in any real estate, LOCATION, LOCATION, LOCATION. I'd rather have an older, but nice property in the best location, than a super modern type place but far. We booked online through TripAdvisor, which redirected to Agoda. The booking was confirmed via an email after all my payment details were loaded. I called the establishment to confirm that the booking had been received and to ask for twin beds. Confirmed telephonically. However upon arrival we were denied access due to no payment. The email had clearly stated that payment would be taken by the establishment and not via Agoda upfront. Staff at the Camps Bay resort refused to allow us into the room until payment was confirmed. They had not read the booking confirmation which also said that the booking was made remotely for someone other than the credit card holder. We were not in possession of the original credit card, so this was a second reason to deny access. We were treated very badly, it was stressful and deeply inconvenient, causing us to be very late for an important dinner reservation. Staff incompetence and rudeness, and no effort made to rectify or apologize. The accommodation was close to everything. Well equipped. Value for money. Parking was not great. Had a dripping shower. House keeping was not up to scratch. We decided to book this resort simply because it is quite central and a very quick walk to the beach and buzzing restaurants. The resort boasts with a great clean pool for your leisure. I did not use the parking facility as we decided to use the efficient bus service in the area. However, I did hear from other guests the parking was a bit of an issue. Also: upon check in we were told by the Receptionist that towels and bedding won't get changed. She did not explain why... I fit was because of the water shortage issues in the Western Cape province, she should have told us, but as a resident of Cape Town, I know the water restrictions were lifted, however, this does not mean we must waste the water, but maybe explain to the guests. Furthermore, if you thinking of booking this resort for a romantic getaway and you want to surprise your partner as I tried simply by asking if they will put rose petals on the bed, etc. I was abruptly told that they don't do anything of the sort. Although Reception is one road up from the Beach, the apartments have an entrance gate on the Beach Road. Restaurants and the Beach are literally a 1 minute walk away. The view we had from our apartment was exceptional - great value for money considering this upmarket sought after holiday destination. The staff did everything they could to make our stay comfortable. We will return! Our room right near the wooden deck entrance which was noisy when other patrons came home in the early hours of the morning and windows vibrating from passing cars constantly. Also would have appreciated if the unit had privacy interms of shower and toilet which were both in the main bedroom - a little wall blocking the one area off from the other would make all the difference...no privacy when showering or using the loo. But besides these two issues it was value for money being in good location, walked everywhere, parking was made available for a fee, rooms and linen etc clean. I didnt enjoy my stay at the resort. I believe that for the price i paid, i could have stayed in a much better hotel. I found the pictures on the website decieving. Stone throw away from the beach, supermart and restaurant. Apartment are clean and spacious with well equipt kitchen. I was given an apartment with no washing machine which I remember clearly it is stated as one of the amenities when I book the room. Reception offered to change me to another apartment on a later date as they were fully book. They should clearly indicate that not all apartment comes with a washing machine so I would have request for it on my booking. Even I was given another room later but it is still troublesome to pack my things again for the shift. The hotel in general is good and clean. The housekeeping takes care of the house without disturbing. 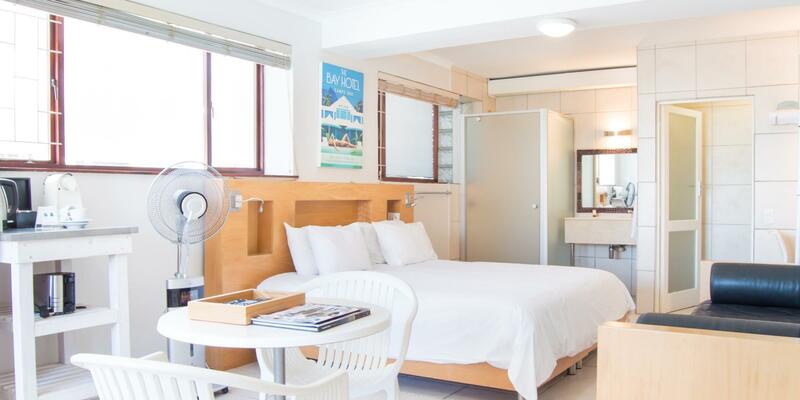 The hotel is situated in Camps bay, just in front the beach, some of the appartmenst have sea view. The location is ideal with a mini supermarket at 40 m, a large choice of restaurant at 100 m.
Good Location and can use the sands bay hotel swiming pool. The hotel in general is good. The housekeeping could be better, they didn´t replace the towels and toilet paper. The hotel is situated in Camps bay, very near from the beach. And staying there you can use the swiming pools of sands ay hotel (that are awsome! ).